Have you been planning a Halloween event for a while? Everyone has their own special vision when it comes to hosting a killer party. Some people imagine an intimate affair with candle lighting, high-brow conversation, and a roasted leg of something or another with a well-paired vintage wine. Others might imagine a full-blown bash with black lighting, Solo cups, and some fist-pumping music thrumming through the air. No matter what your monster mash style might be, if you're a real fan of dramatic Halloween antics then you've probably imagined descending a set of stairs to greet your guests through a cloud of mist. Or if you haven't, maybe now you will! After all, isn't "mist-ery" the main element of a spooky soiree? Now, there are plenty of options when it comes to mist, we know. But this mist maker eliminates the need for dry ice (what is that stuff, really) and can change color according to the mood of your mascarade. Place it in shallow water and you'll have a low hanging mist in minutes. 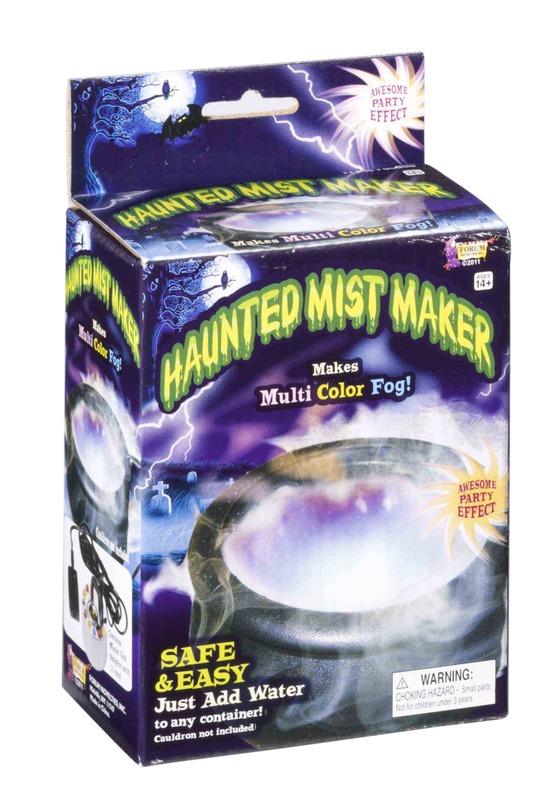 The LED lights change the color of the fog, so whether you want your fog to drift from a witches cauldron, to settle on your graveyard scene, or announce your dramatic entrance, this mist will surely match your delightfully macabre scene! It isn't often that you can literally control the weather but it's not a problem when you plug this mist maker in. You can have low hanging clouds in the time it takes to chant, "bubble, bubble, toil, and trouble" and what trick-or-treaters wouldn't love that?